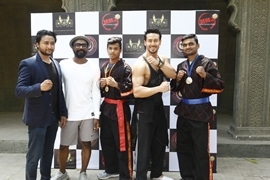 Tiger Shroff and Remo Dsouza who have been an ardent supporter of kickboxing were seen removing some time from their busy schedules and felicitating the Gold medal winner – Qasim Razauddin Ansari entered the Finals under the 54 kg category by defeating Hussain Alam from Bahrain and Sachin Abhimanyu Patil, who bagged silver medal under the 70 kg category. They also felicitated Ziauddin Khatib, the former 3 times unbeaten world champion and the president of IKBA, India’s premier Kickboxing Association. He was instrumental in ensuring the fighters get the best training and guidance and win on an international platform. Syed Mudassar Ahmed won the bronze medal under the 85 kg category could not be present at the event. On the celebratory occasion, Remo said, “ It’s indeed a matter of pride and something that should be celebrated across the nation and its indeed really nice to know that our boys have won gold, silver and bronze in three different categories. I really hope this becomes as big as the other celebrated sports in our country. Kickboxing is something that I love and getting trained in and what can be a matter of pride then these kids getting gold for our county. Mumbai, 15th April: Mrs. India World 2019, co-powered by The Deltin, India’s most thrilling, fascinating and prestigious beauty pageant is all set to commence. Soha Ali Khan who is the face of the brand has teamed up for this marvelous journey of finding that one lady who will represent India at the coveted Mrs. World pageant 2019-20. Mrs. India World 2019 is organized by Mrs. Mohini Sharma, who has been ex Mrs. India in 2016. She has been instrumental in demolishing the notion that marriage diminishes a woman’s glamour. This illustrious pageant gives the ladies a chance to showcase their talent, stride the ramp, and exhibit that they can be cosmopolitan, intelligent and elegant as the 20-something professionals. She has succeeded in giving a platform to ladies to break the shackles and carve a niche for themselves. Mohinihas travelled across the country to shortlist appropriate candidates- women inclined to step out of their comfort zone and show the world their alluring personalities and, above all, the requisite gray matter. Mrs. MohiniSharma, said “the Mrs. India Inc. will alter the shallow definitions of beauty. I firmly believe in the dictum, beauty is skin deep so we are focusing on uplifting ladies and making them realize their true worth. No matter what her age, life-situation, marital status, every woman is beautiful and it’s never too late to start. This event will provide a platform to get away from the humdrum of daily life to participate in auditions and compete for the title in order to represent India at the Mrs. World platform. In the auditions we saw the participation of women from various professions like aviation, the corporate sector, academics etc. Mrs. India Inc. is a realization of a dream and heartfelt aspiration”. 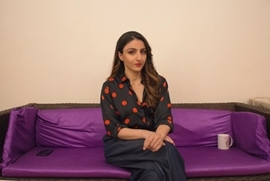 Soha Ali Khan added, “I am thrilled to be associated with Mrs. India Inc. It’s wonderful to see these ladies work so hard to fulfill their dreams. I really appreciate their families for being so supportive in their journey. Mohini has given a very good platform for these ladies to nurture their talents. I am looking forward to the rounds ahead”. Mrs. India Inc. is the most credible beauty pageant for married women in India. We are associated with the oldest and the world’s most prestigious beauty pageant for married women, Mrs. World (www.mrsworld.com). We aim to empower women and give them the platform to showcase their beauty, intelligence and wisdom. The grand finale will be held at Hotel Sahara Star in Mumbai on 5th June 2019, 7.30pm onwards and will be aired in the third week on June. Max Fashion, country’s largest fashion brand, relaunched its store at Inorbit Mall, Vashi on Saturday. Spread over 12000 sq ft, the store takes on a fresh look by bringing in a wide range of international fashion merchandise, upgraded trial rooms, state-of-the-art digital interface and a more convenient billing process design, thus, ensuring a wholesome and effortless shopping eexperience for its customers. 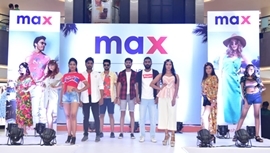 The store launch saw a fashion show galore with models sashaying down in Max Fashion’s new collection looking trendy and stylish. It was wonderful to see a huge crowd making its way to shop and experience the look and feel of the new store. Max Fashion’s new collection at the revamped store is designed to appeal to everyone who is looking for great fashion at an affordable price, be it the urban youth to kids to young professionals. The appeal very distinctly positions Max as a fashion destination for the entire family. So, visit your nearest Max store with your entire family and experience the new! Virus Film & Entertainment Miss/MRS India Universe 2019 Finale was held At Madh recently in Mumbai. 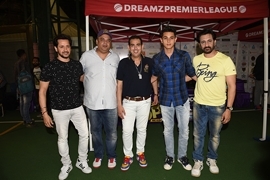 The Event was well organised and was attended by the celebrities and well wishers. The huge stage for ramp was the highlight of the show with special light effects with back LED screen made the event amazing. For the past 13 years, the special issue of Bollywood’s leading magazine “Films Today” was launched at the Juhu Plaza Hotel in Juhu, Mumbai. This film magazine has so far been launching Bollywood stars on the cover page, but this time instead of any Bollywood star, such stars have been launched on their cover page which has been associated with social work for a long time. Yes, we are talking about Satyendra Pal Singh Ahuja, who is the Mumbai President of the All India Anti-Terrorist Front, whose national president is MS Bitta. At the same time, Satyendra Pal Singh Ahuja is also the President of the Mumbai Textile Markets and is joining social organizations and is working on social work. On this occasion, many dignitaries were present for congratulating the Rajesh srivastava Managing Director of Films Today, in which Bollywood’s Famous musicians Ram Shankar, Sunil Pal, Mithila Purohit, Subh Malhotra, Simran Malhotra, Babu Bhai Thiba etc. Were found. On this occasion, Rajesh Srivastava, managing director of Films Today, said that Babuji used to say that in childhood Babuji used to say that keeping the feet on the side of the head of the skies and towards the head sky, the thinking would be great and the feet would be on the ground, I can stay on the ground with thinking. I have reached this point today with the help of this thinking and the blessings of you. Celebrities from Bollywood and Tv fraternity joined Sanjay Mittal the founder of Heart and Soul Foundation in Mumbai to felicitate and honour women from different field for their outstanding work in their specific sectors. Aru K Verma – Breaking Stereotype And How? Aru is also the face of several television commercials and now he is gearing up for his 2 upcoming web series where he will be seen playing unconventional roles which will be a complete surprise factor for the audiences. Manipadma is the world’s largest human development origins to have a world free of sufferings. The vision of Manipadma is to identify obsession for ownership as the root cause of all human sufferings. It also commits to global women empowerment as a highest priority measure for the upliftment of humanity. Manipadma also acknowledges ruby consciousness as the collective consciousness for the next 2500 years. The organisation seeks to spearhead and felicitate supreme self intelligence. Manipadma has several projects such as clubs council, human services and excellence projects, pilot stage, pilot programs, pilot initiatives, pre pilot projects, campaigns. Manish Paliwal, founder, chairman and CMD, Manipadma had a keen interest in human development causes from a very young age. 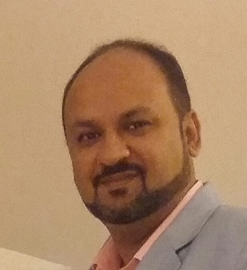 Darryl D’souza is a co-founder, prime director-technical and an apex member. Mandeep Dalor is a prime director- communications and an apex member. New Delhi 24th March 2019: On the occasion of Shaheed Bhagat Singh ji’s Shaheedi Diwas, I Am Still Human in association with Virgo Laminates and Jammu Kashmir Study Center has organized a blood donation camp for and with Indian Army at India Gate, New Delhi. 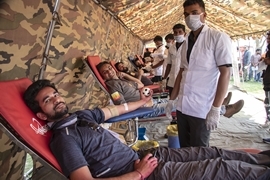 A Pathology Team of Indian Army was present at the venue in Uniform and taken blood from the donors and the collected blood which will be used by the Indian Armed Forces only. Besides, there was a Bike Rally of 1000+ bikers moving together in a formation of 2 towards India Gate, New Delhi, from South Extension Part II. Lt. Gen. Prem Nath Hoon (Retd), PVSM, AVSM, SM – led operation Meghdoot (Siachen) and joined Indian Army in 1947; Lt. Gen. K.J Singh (Retd), PVSM, AVSM** – Ex-GOC-in-Chief Western Army, Ambassador of Shaurya Campaign and currently State Information Commissioner of Haryana; Ms. Dalbir Kaur sister of Late. S.Sarbjit Singh and Mr. Vishal Batra, twin brother of Capt. Vikram Batra, PVC were present during the occasion. I Am Still Human – I Am Still Human is a youth based organization which was founded by Mr. Vivek Mehra, son of retired Fauji only. Aspiring to join the Fauj and not being able to get into it, he started this organization and initiated to work for the welfare of Indian Armed Forces. Virgo Laminates is Leading manufacturer of Laminates in Asis pacific is coming up with the support to our army and nation. Jammu Kashmir Study Center – An organization that works to aware people about the myths of Jammu and Kashmir. Award Event “RANGOLI 4.0 2019” By UNIMO Universe of Moms on 29th March 2019( Friday) at Hotel Holiday Inn, Andheri E, Mumbai. Event Starts at 6:30 PM onwards. 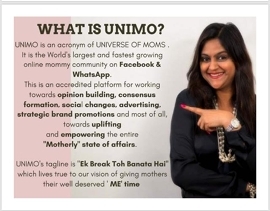 UNIMO Universe of Moms which is World’s Largest Community of Mothers with 3.25 Lakh digitally connected mothers & 21 Chapters across the globe. We are the only Mommy community endorsed by Facebook& has been appreciated personally by Sheryl Sandberg (COO of Facebook). Our Founder Neha Kare Kanabar is the only Mommy community Admin chosen by Facebook to lead “Community Leadership Circle for Mumbai & Ahmadabad. Rangoli “The Girl Next Door With an Extra Ordinary Story” – Our Tag Line, and RANGOLI will celebrate women from all walks of life! About Rangoli & Why Rangoli- “RANGOLI” is shared with a desire to Empower Everyday women to recognize the glory in the ordinary and to inspire, delight and astound each other with their magnificence. The intention of this event is to encourage all women to step out with faith and newfound confidence into the spotlight of life, and boldly claim their place on center stage. Through Rangoli Awards Event-We are celebrating “Woman who is not splashed on the cover of Vogue magazine, the woman who doesn’t have her own reality show or the woman who doesn’t own a billion dollar network. These women inspire people daily and use platforms available to them to motivate others”. This year, 4th season of Rangoli 2019, We join hands with the #IWD2019 theme #BalanceforBetter to fill in the gender gap. More importantly we are creating an agenda to commemorate and celebrate gender parity & work towards Women’s Advancement. For truly celebrating the spirit and ethos of the mentioned theme, we bring to you an Award Ceremony & a unique Speaking Engagement with 300 plus women attending it. Women need to be celebrated for their courage to affirm their wellness, careers, strengths and qualities. Nominations from all over the world are being invited for choosing 30 Women Under 50 years of age. Interestingly, women can nominate themselves too! The nominations are invited in categories like Business Woman of the Year, Community Bridge Builder, Rising Star & Hustler. The theme being #BalanceforBetter , we have a special category of Unsung Hero-for the men who have been steadfast in supporting their women unconditionally. And also its time to recognize Extraordinary Talented Girl Child and get them exposed at the right age and right time in front of world . In Rangoli 2019 Awards , we have added a special category “Talent Par Excellence” for girls between 5-15 years of age to motivate these young prodigies & we motivate them to pick up any career/life of their choice. This category is an Award to celebrate a Kids Talent . * 30 Winners will win #IWD 30 Under 50 awards & 30 women shall be Rangoli winners. * Powered by IWD 2019 theme #Balanceforbetter. * Will have a Rangoli Fashion Show -by the Moms, of the Moms & for the Moms. * Will be attended by reputed & celebrated Personalities. * Will be aggressively promoted with huge social media branding by interviews, press releases, On stage branding and felicitation of our winners, Guests, Jury members. We look forward to having you & your Team to join us for this celebration where we celebrate our Rangoli’s for 2019 by UNIMO Universe of Moms. 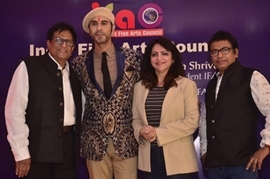 The president of India Fine Arts Council Mr. Haresh Mehta and Vice President Mr. Rajesh Shrivastav Sandip Soparrkar as a new chairman of India Fine Arts Council. IFAC presented a 3D mini replica doll especially crafted and designed by Chennai based company My Cute Mini headed by Mr Sri Hari to their newly appointed chairman Sandip Soparrkar during the press Conference in Mumbai. Apart from that a bronze hand cast of Mr Soparrkar was also presented to him by IFAC deigned by Mr and Mrs Ronak Jain of Memorobilia. For over one and a half decade now Sandip Soparrkar has been working to promote young and upcoming artists as well as other established ones and is also instrumental in bringing the classic Latin and Ballroom dances and other world dances to Indian shores. Apart from training people world over he has also been conducting workshops and giving speeches about the importance of dance in one’s life. The renowned choreographer has been especially honoured for his fantastic work in Hollywood and bollywood films too. 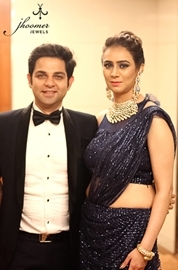 The announcement ceremony hosted by internet sensation Ratan Pratap and dancer actress Ankita Dolawat was well attended by Artists such as Simran Ahuja, Dr Uma Rele, Shubh Malhotra and many others. Renowned artist Nilesh Auti made an exquisite live painting, MASK a band of young musicians sang and enthralled the audience, singer Fazal Abbas Jafri and Tabla player Dhaiwat Mehta performed a soulful Hindustani classical piece and the maestro Sandip Soparrkar himself danced with students of Nalanda Nrityalaya Mahavidhyala, Bharucha school of Ballet and Myriad Arts presenting a dance performance with all dance forms woven into one. Sandip was one of the first few choreographers who brought in international dances on the big screen and also introduced Ballroom and Latin Dance culture to dance lovers in India apart from making it famous on Indian television reality shows. Soparrkar’s distinctive style of choreography can be seen from the very beginning of his career back in 2001. Some of his most notable work of includes choreography for films like Zubaidaa, Kites and Saat Khoon Maaf, Mangal Pandey, etc. Plus he has taken India globally by teaching dance to International icons like Madonna, Britney Spears and Beyonce Knowles and at the the same time talking about dance at various international film festivals all over the Globe. Many young influences of Bollywood today also happen to be students of Sandip Soparrkar. 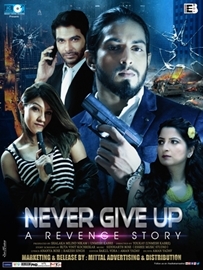 Shafaaq Naaz,Katie Iqbal, Jazz Sodhi, Pooja Dikshit, Amar Upadhyaya, Hemant Chaudhary, Harshita Gaur, Khushi Mujherjee, Hiten Tejwani, Debolina Bhattacharjee, Yash Pandit, Paras Madaan, Taranjit Kaur, Atul Bhallax, Poonam Rajput, Paulami Mazumdar, Eshu Gambhir. 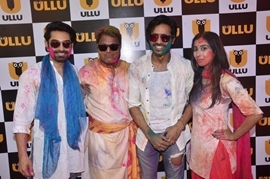 Ullu has come with web series ‘Dance Bar and Tanushri Dutta Abhineet Inspiration’ and also many more, In the coming days Ullu is coming out with more and more innovative web series. ‘Aickarakkonathe Bhishaguaranmaar’ becomes the only movie to be nominated for Rome Independent Prisma Awards from India. The winner will be declared on April 4, 2019. Awards will be distributed in 20 categories like Best Feature Film, Best Director etc. Also, the said movie is the only Indian Movie selected for the ongoing Rome Independent Prisma Film Festival in Italy. “Aickarakkonathe Bhishaguaranmaar” is the second CSR movie initiative by U.A.E based Aries Group. Movie develops from the basic thread of picturizing the life of common people in a village named Aickarakkonam. The movie emphasises on the 5,000 year old system of natural healing called ‘Ayurveda’ which is enjoying a major resurgence in both its native land and all over the world. Besides the theme, the movie utilized 100% of its revenue for flood relief and rehabilitation activities in Kerala, which witnessed one of the worst natural disasters in the history of the state recently, and for the support those in the film industry, who were affected by the floods. Featuring 175 new faces, this complete family entertainer became the year’s first Indian feature movie to view for Oscar 2019 and to be nominated. Directed by Biju Majeed, the movie is produced by Abhini Sohan in the banner of Aries Telecasting PVT LTD Project Designer, Lyrics -Sohan Roy Story, Screenplay, Dialogue: K. Shibu Raj, Co-Production-Prabhiraj Natarajan Camera: P.C Lal Editing: Johnson Iringol Music Director: Biju Ram Production Controller- Anil Angamaly Stills- Saji Aleena, P.R.O- A.S Dinesh. Sohan Roy is the founder of Aries Telecasting Private Limited and had produced its first CSR (Corporate Social Responsibility) movie Jalam which was accepted by the audience well. His second CSR movie Aickarakonathe Bhishaguaranmaar was also shortlisted for Oscars. He is also into making big budget movies to uplift Indian movies to Hollywood standard with his $10 billion project Indywood. Raza Murad, Manpreet Kaur and Mohit Bhagel will be the key characters of this movie. These days there is a tremendous trend for new and unique titles of Bollywood films. 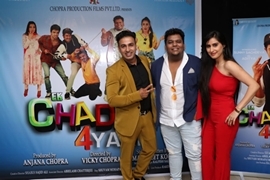 An unique movie titled “ek chaddi 4 Yaar”was launched in Mumbai recently. All the film’s actors including film director Vicky Chopra and chief guest Raza Murad were present on the occasion of the Muhurat of this movie, which was going to be made under the banner of Chopra Productions. There was also a huge crowd of media in the event held at the Tassel Studios located in Andheri, Mumbai. Producer Anjana Chopra’s film has been written by Manpreet Kaur, She is playing the Female Lead in the movie. Actually, this film is the story of 4 friends, the way we say chaddy buddy or langotiya yaar, its story is based on this. In the film, Mohit Bhagel plays Golu’s character, Paras Chadha plays Chintu, Sunny Sachdeva is playing the role of Aditya, Suchit Vikram is playing the role of Love. Ankita Tomar plays the role of Kavya in the movie and Manpreet Kaur plays Naina. The film’s shooting will start from March 15th, it will be filmed in Delhi and Mumbai, and by November it will be release. Manpreet Kaur, who played the role of Riya in the TV show ‘behad’, has also worked in the ad films of VIP bags. Manpreet, who has written stories of several short films with Vicky Chopra, has been very fond of writing. When Vicky asked him to write the story of a comedy movie, he wrote the story of this film. Manpreet Kaur told that the film is a comedy and it has a lot of turn and twist in the story. Raza Murad, Pankaj berry, Karan Sahoo have an important roles in this film. 10th March 1991 was the D Day when the first professional film studio of north India was inaugurated and large number of film personalities were present there to give their best wishes to this new venture of India. Marwah Studios has been the promoter of Noida Film City. Krishna Raj Kapoor, Shammi Kapoor, Surinder Kapoor, Nirmal Kapoor, Boney Kapoor, Anil Kapoor, Sanjay Kapoor, Pradeep Sharma, Padmini Kolapur, Ashok Thakaria, Poonam Dhillion, Shilpa Srirohdkar, Madhuri Dixit, Prem Chopra, Rakesh Roshan, Rakesh Nath, Bina Banerjee, Inder Kumar and many other known personalities were present there. In a span of 28 years of film, television and media business Marwah Studios has churned out 4500 television programs for more than 50 channels, has been associated with more than 150 feature films in 8 different languages, around 5000 training films has been produced from this campus. Marwah Films And Video Production has produced around 2500 short films and given opportunity to more than 10,000 filmmakers from more than 100 countries of the World. Marwah studio is the promoter of 100 film, television, media, art and cultural organizations and has reached 145 countries of the World. The studio has alone attracted largest number of celebrities and around 1.2 million people to Noida Film City under Film Tourism. Marwah Studios has its own news paper, a radio station, a television station, a news agency, a research centre, a film club, a film production company, a television production company, an event management setup, an advertising setup, a publishing house, a sports center, a wing for social activities etc. “I am thankful to each and every one who all have supported me, Mohit Marwah and Akshay Marwah and our ventures from all over the World in all these 28 years of business. We will leave no stone unturned to make Noida Film City the most happening place in the World,” said Dr. Sandeep Marwah President of Marwah Studios. A woman is the full circle; within her is the power to create, nurture and transform, and one such woman is Bulbeer Gandhi. A modern age entrepreneur and Director of ABEC Exhibitions and Conferences Pvt. 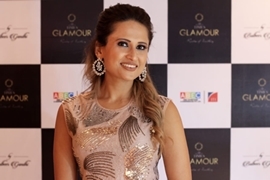 Ltd., Gandhi has been successfully playing the role of a forerunner in supporting many enthusiastic entrepreneurs, for over a past decade, through her most notable exhibitions – Glamour, Glitter and Shagun. Gandhi has always believed that “women play an integral role in redefining the nation’s economy and growth”; and it was her conviction which led her to work towards strengthening the spirit of women-power in the fields of design and creativity. She joined her family business with intent to broaden the horizons of opportunities women could grab and be benefitted from. In order to do so Gandhi left no stone unturned, with one step at a time she succeeded in enhancing ABEC’s Lifestyle Portfolio. Through her proactive initiatives she focused on strengthening ABEC’s marketplaces through which she has promoted and injected innumerable new talent into the market and helped them carve a unique niche. Women power-fuels the entire nation and it is women like Gandhi who are adding the freshness of coffee, by proving that the real power lies in ‘GROWING TOGETHER’. This women’s day we salute the dedication, contribution and creativity of every women who have made this journey a saga of success and self-reliance. Renowned entrepreneur and intellectual from Bollywood, Fauzia Arshi was hailed by eminent American Entrepreneur and Economist Frank Islam during his recent visit to India. During his recent visit to India, Frank met a series of influential people in the country and Fauzia was one of them. Frank invited Fauzia to be a part of Frank & Debbie Management Complex as she is also a professor of management. Frank Islam hails from Azamgarh district of Uttar Pradesh and never leaves an opportunity to visit his motherland to keep his roots intact with his motherland. Delhi based businessman Vikas Vashistha who is on the crest of a wave now, has jumped on the production bandwagon. He always tried out experimenting with different genres. Vikas Vashistha is now all set to turn into film producer. He announced the name of his production house VSquare films and also their first venture starring Sanjay Mishra, Isteyak Khan, Ipsita Chakraborty, Tina Bhatia, Vishwanath Chatterjee, Ashish Shukla, Vikram Kochhar, Monica Mundu, Shukumar Mukherjee, Lamp lohar and Monita Sharma Sinha which is getting shot presently directed by Isteyak Khan. Vikas Vashistha said, “Its great pleasure for me to announce my production house name. Now I’m producing hindi movie. I’m also working on some other project. The production house will open the doors for new writers, with the help of budding writers, and I’m planning to come up with something creative and big project”. 70% of the dentists suffered from back pain due to their work; making them the most vulnerable segment in the medical community to suffer from back pain. To address this issue, on the eve of International Women’s Day, a group of 70 female medical students, interns and doctors attended a POP talk (Power Over Pain) aimed to share how back pain can be avoided/minimised during dental practice. Dr. Garima Anandani, Senior Spine Specialist and Clinical Director, QI Spine Clinic delivered the POP talk. POP Talks, is an acronym for Power Over Pain, and is a proprietary community outreach program. The session, emphasized on how doctors constantly have to bend to perform dental surgeries, procedures and even regular check-ups. She covered a gamut of subjects like spine structure, workplace ergonomics, posture correction, and issues specific to dentists. Dr Anandani also shared insights on non-surgical treatment for back and neck conditions with the moto that prevention is the best way to deal with pain. The POP Talk concluded with a quiz session for dentists who won exciting prizes. QI Spine Foundation is a not for profit organisation raising awareness about the non-surgical treatment for back and neck conditions. First time in India a Psychologist is entering into film and web series making with innovative ideas and concepts ! Raakesh Kriplani a renowned cyber psychologist of 18 years of experience wanted to give back to society and media is the best source to give message , came in mind of him and he recently launched his productions house at House of Party lounge at glittering function at hands of producer Rakesh Sabharwal and tv actress Nitu Wadhwa in presence of Tusshar Dhaliwal and Archana Tomer . “Made in India” productions will be coming up with social issues movies for the development of nation and society with little spice of entertainment industry . 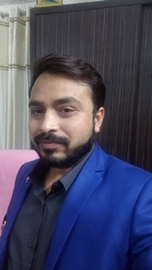 The team consist of creative consultant Ashutosh Sharma. Prashant Dhumal producer Jeetu Kriplani, Ritesh Kriplani Dr Ridhi Akhare and many . Companies first creative video is already produced for thallassmeia disorder which is already running at multiplex! Coming up soon with short stories of common man conflicts which are neither crime related nor a psychological disorder but still life gets disturb! The launch was supported by 10 Mrs India national and international crown winners to the cause and will be associating in way or other with social mission ! The creator of some great Marketing campaigns Waseem Amrohi is the founder of iNking Ideas now. After completing his PG in multimedia New Delhi, Waseem Amrohi has worked with some of the world’s most celebrated brands and creative teams. A maverick of advertising, he had his modest beginning as a multimedia designer at YAHOO astrology for his ability to work round the clock, in early 2002. At the age of 25, he joined one of the leading digital agencies, Webchutney, as a Sr. multimedia designer, a profile which included designing websites, script writing and online banner creations for brands like MTV, IN.com, Titan, Tanishq, Fly Kingfisher, Airtel, Tata Tea Jaago re etc. The very same year Webchutney was awarded the ‘Best Indian online agency’ and he was a part of the winning team. One year later, he was appointed as the art director and led the company across Mumbai. 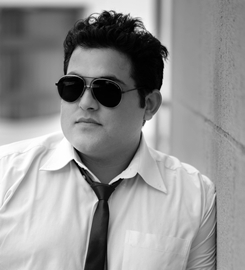 Further to this, he spearheaded the Creative department in Resultrix Media as an associate creative director in Mumbai. With a decade of experience in client domains like Finance, technology, mobile communication, travel, auto, retail, lifestyle, education, real estate, etc. and created unique, highly successful, designs driven campaigns. 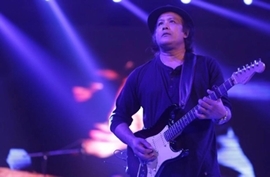 His relentless efforts got him appointed as the creative director in Resultrix, India. After exploring and publishing countless digital campaigns in India for more than a decade, he moved to Dubai with Crayons Global and serviced them with social media ideas and campaigns as a creative director to the organization. Apart from this, he also launched few films for brands like BabyShop, Sharaf DG, CenterPoint, as a writer & director for Crayons. For his next tenure, he joined Everymedia Technology as a national creative director & head of campaign Strategy, where he has successfully completed digital marketing for some of the most notable movies in Bollywood and Hollywood. So far Waseem has worked on 450 plus brands and 100 plus movies, some of them being Microsoft, Yahoo, Max Bupa , IPL 2009, Sharaf Dg, Dbs bank, ICICI Bank, HDFC Bank,VLCC, Chrysler, Center Point, BabyShop, TATA tea, Hyundai India, Coldwell Banker, Sbi bank , Sbi mutual fund , Sbi life Insurance, Hyundai, JSPL, Lino perros, Welspun, Terna university and movies like Tubelight,Bajrangi Bhaijaan, Neerja, Pink, X-MAN,Deadpool, Hulk, the greatest showman and many more! He has won many awards globally for best campaigns including BBC national marketing award 2017. Now, he now founded InKING Ideas Pvt. Ltd. Under his company, Waseem Amrohi is working on some amazing films projects and marketing projects for Sbi, Jspl, Lino Perros, RustamJee, One Avighna Park and many more.